Walter Harrison has specially designed different ranges of bird feed . 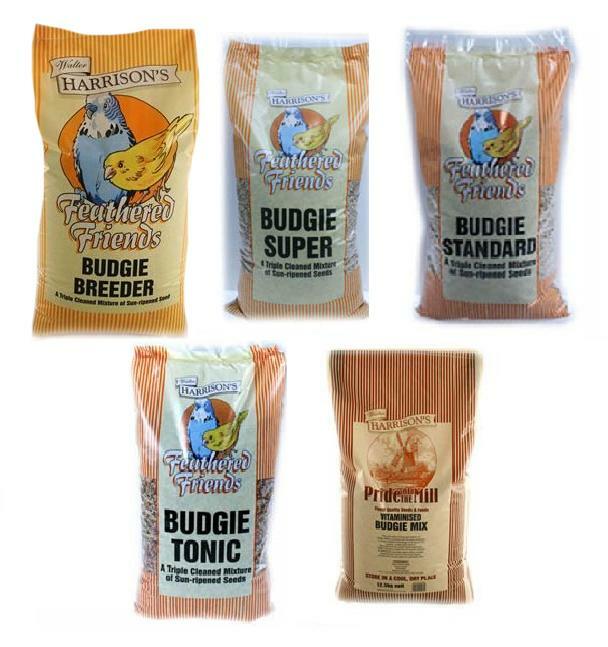 This Budgie specific range has everything that a Budgie needs to give it a full and healthy balanced diet. That satisfies the high energy requirements that Birds really need. There are currently no questions for Walter Harrisons Budgie Bird Food - be the first to ask one!